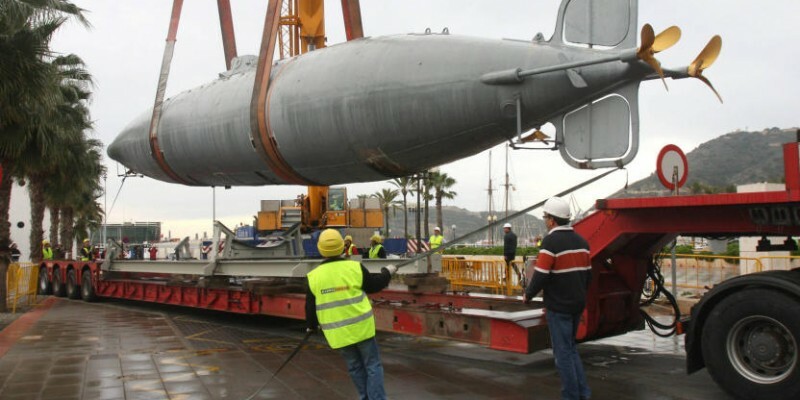 On 15th December 2012, Peral Submarine was moved from its outside location in the Port of Cartagena, to be covered in the Naval Museum, next to Arsenal, to thus be able to carry out its restoration and expose it to the public in all its splendour. On 12 September 2013, nine months after moving one of the emblems of the City of Cartagena, Peral Submarine, it took place the opening of the Peral room in the Naval Museum Cartagena, presided over by its S.A.R. D. Felipe de Borbon. As a company responsible for the adequacy of the Room of Isaac Peral to house the submarine, in Marcaser we are proud to participate in the growth of tourism in the city of Cartagena, and in a museum, which we believe will be one of the jewels of this city.